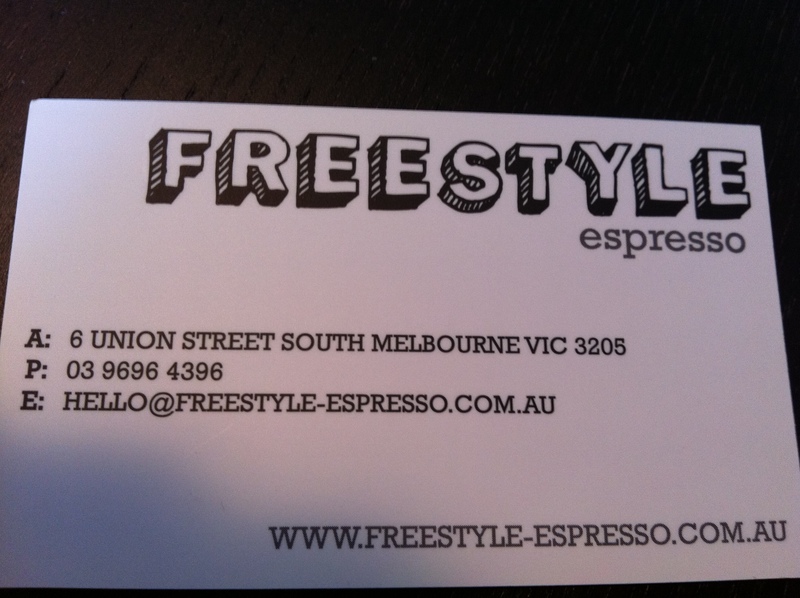 After a busy morning grappling with everyone else in the hubbub of South Melbourne Market, Freestyle Espresso is a great place to gather, regroup and refuel with some cracking breakfasts. What’s brilliant about this place is I’ve never waited for a table; it’s down a lane (all the best cafes in Melbourne are down lanes, don’t-cha-know); the service is consistently lovely; and the food is consistently yummy. I have also heard from those in the know that the coffee is excellent. Well, my flat white was great, but I’m not someone who pretends to know or understand coffee (I tried cold drip at St Ali and couldn’t help but make a face like a kid tasting wine for the first time!). Two of the table ordered the freestyle eggs (eggs any way, we chose poached) with bacon, basil and roasted vine tomatoes; and one ordered the smashed avocado on toast with feta, lemon and vine tomatoes. On previous occasions we have also seen the bircher muesli ordered (or was it porridge? 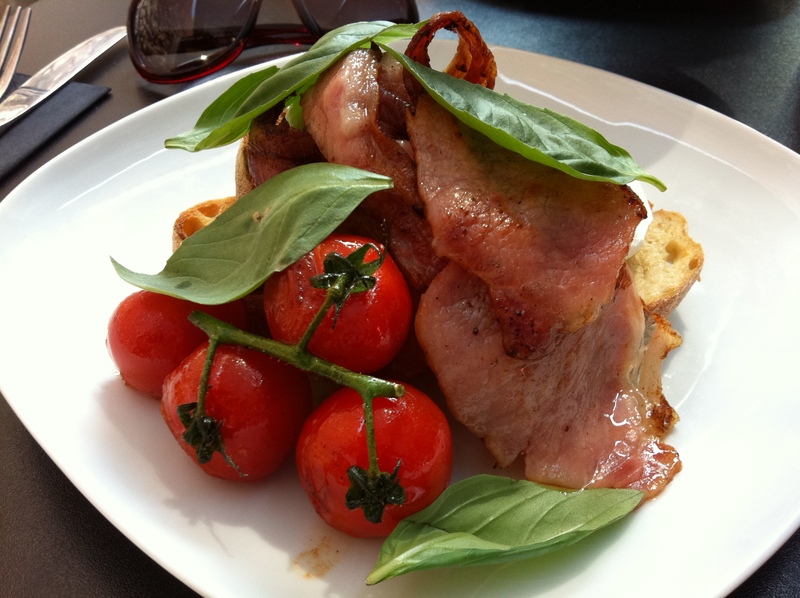 it looked delicious regardless) and even the toast with jam looks substantial and delicious. The food, when it comes, is delicious and portions are huge. I particularly like the quantity of bacon that comes with our meals. Too much bacon is never enough. The poached eggs are a little rubbery (and I think I can taste the vinegar they might have put in the poaching water) but the yolk is sublime and runny so I can overlook this small quibble. And all my meals should come scattered with giant basil leaves like this one. I mean it. All of them. Breakfasts around the $15-$17 mark – but they’re worth it. Recommend. 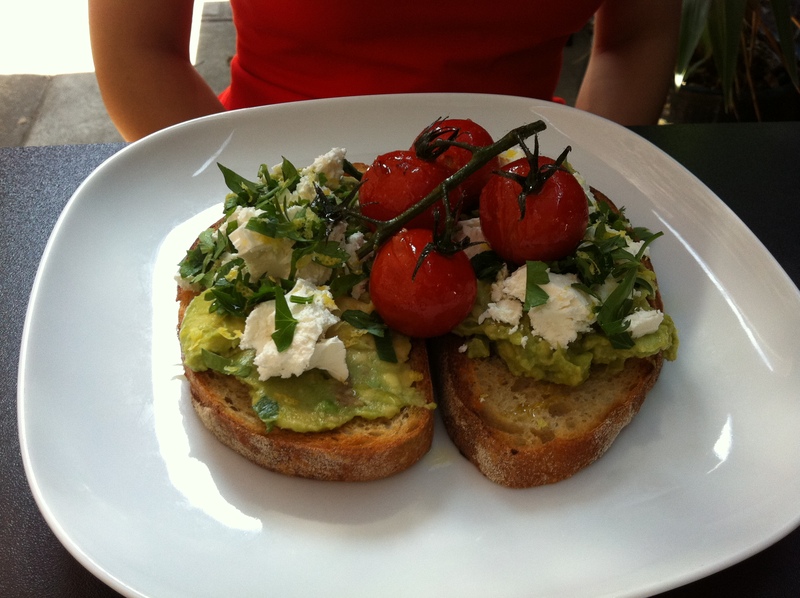 Tags: avocado, breakfast, brunch, cafe, eating out, poached eggs, review, south melbourne. Bookmark the permalink.